In the distant future, young students may build science experiments that make objects levitate or transport into alternate dimensions. However, 5th graders today perform experiments that adhere to our current physical laws. That doesn't mean all experiments must be as mundane as documenting the growth rate of lettuce. Ideas for cool, crowd-pleasing 5th grade experiments are all around you. Explore your musical side and learn about sound wave propagation by building an H20 xylophone. Arrange some glasses in a row and place a little water in the first glass. Increase the amount of water you add to succeeding glasses. When you're done, the first glass contains very little liquid, while the last one is almost filled with water. With a spoon, tap the glasses in different orders and note how you hear unique melodies. This musical effect occurs because of the way sound waves travel through a medium. When you tap a glass that doesn't have much water for sound to pass through, you hear a higher-pitched sound. Tap glasses that have more water through which sound must travel and you hear lower-pitched sounds. You may have seen people perform this trick on TV using wine glasses. With enough glasses filled with varying amounts of water, people can play every note on the scale. Earth perpetually releases pent-up, energetic fury in the form of hurricanes, tornadoes and lightning. The safest way to explore these types of dangerous meteorological displays is in a controlled, miniature science experiment. Build your own tornado vortex by filling a smooth-sided plastic bottle 2/3 full of water and pouring in some glitter. Turn another empty, smooth-sided bottle upside down and place its mouth over the bottle that has the water. After you tape the bottles together securely, invert them so the bottle with water is on top. Swirl the bottles in a circle, and a tornado vortex forms. This effect occurs because your swirling motions cause the water to move in a circular motion -- similar to the way tornado winds do. When the water pushes outward from the force of the motion, air flowing from the bottom bottle to the top creates the vortex. The glitter simply helps you see the vortex more clearly. Carbon dioxide, a greenhouse gas that warms the planet, is also the ingredient that gives soft drinks their fizz. If you'd like to see the explosive side of this gas, create a geyser similar to Old Faithful. Place a dozen Mentos candies in a test tube and then place a 2-inch square piece of cardboard on top of it. Hold the cardboard, flip the test tube over and place it over the mouth of an open bottle of diet cola. Remove the cardboard quickly and run away from the bottle -- if you don't want to get wet. The candies fall into the soda and create an explosive reaction that sends the liquid spewing like a geyser. This doesn't happen whenever you drink soda because carbon dioxide is dissolved in the liquid. Because a Mentos candy has hundreds of irregularities, bubbles form around them, causing a tremendous release of carbon dioxide when Mentos fall into the soda. White light consists of red, green, blue and other colors you don't see on a sunny day. When a rainstorm dissipates, you may spot them in a magnificent rainbow. Generate these colors by filling a pan or large shallow bowl 2/3 full of water and placing it on a surface so that sunlight falls into the water. Position a small mirror under the water so that sunlight strikes the mirror. Finally, hold a sheet of white cardboard or paper above the water so that light from the mirror falls on the cardboard or paper. Instead of white light, you'll enjoy the colors of the rainbow. 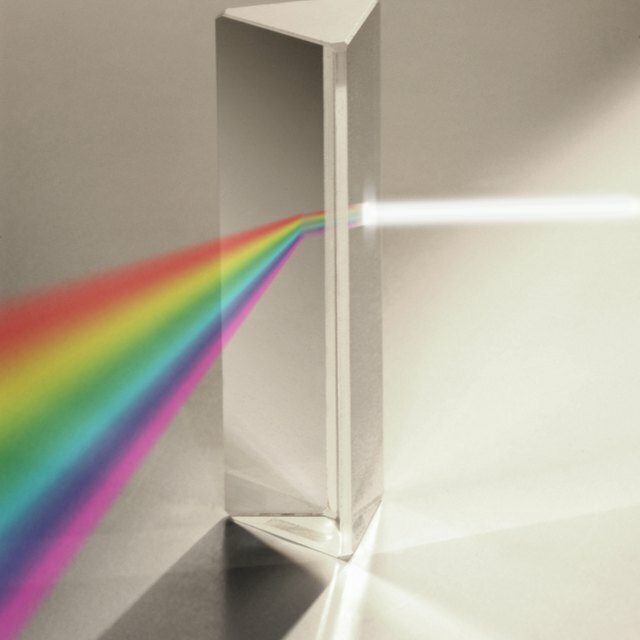 The mirror and water function as a prism -- a device that splits incoming white light into its component colors. Normally, all colors in a beam of light travel at the same speed through a vacuum. Light at one end of the spectrum moves faster through a medium than light on the other end of the spectrum. When light's velocity changes, so does its direction creating what scientists call refraction. Lee, Kevin. "Cool 5th Grade Science Experiments." 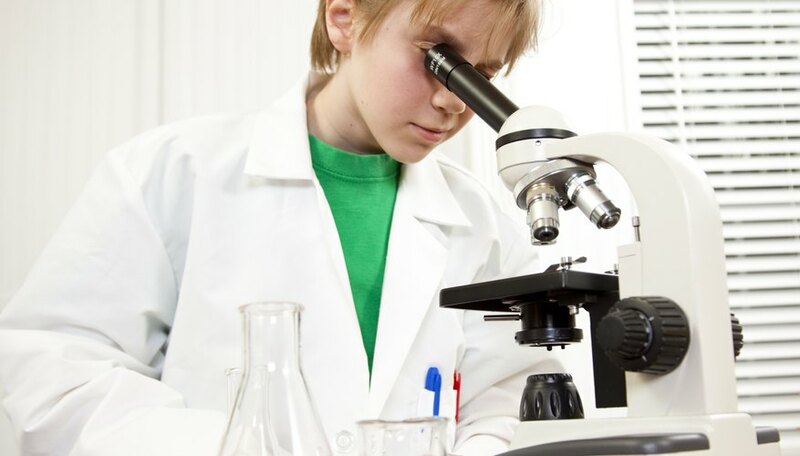 Sciencing, https://sciencing.com/cool-5th-grade-science-experiments-6531107.html. 25 April 2017.